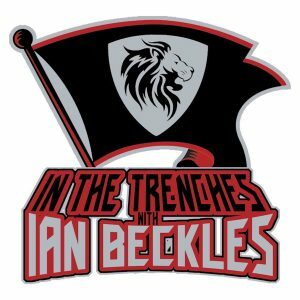 NFL Free Agency will officially begin this week and the Tampa Bay Buccaneers made a big move last week as they signed wide receiver Mike Evans to a 5 year contract extension and this week on “In The Trenches,” former Buccaneers offensive lineman Ian Beckles talks about this move and what 2018 free agency could look like for the team. Along with discussing the contract extension signed by Evans, Ian gives his thoughts on what they need to do this offseason. He mentions how 45 percent of the Philadelphia Eagles team last year was made up of free agents and how he just wants to see the Buccaneers go out and help make this team better next season.